The Ink Trap: Blanche by Art Impressions! Hey all! 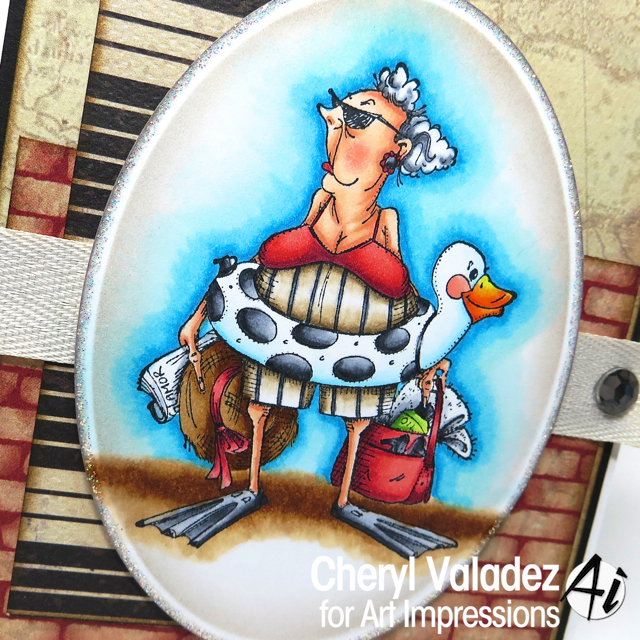 I'm back today with a sassy Golden Oldie image from Art Impressions. I'm using a lot of these Golden Oldies lately, guess I'm feeling like a Golden Oldie myself...LOL! Meet Blanche. She is packed for the beach and ready for some fun in the sun, but clearly hasn't a clue on how to get there! LOL! I picture her looking left, then looking right, then just plopping her stuff down right where she's at. I can't say that I blame her ;) Sometimes you just have to make your own fun wherever that may be. Speaking of fun...you can find Blanche(K1605) in the Ai Shop along with LOADS of fabulous images. Take a peek and you'll find the newest of the new including the BFFs and the lovely 2014 Girlfriends. So many great images! 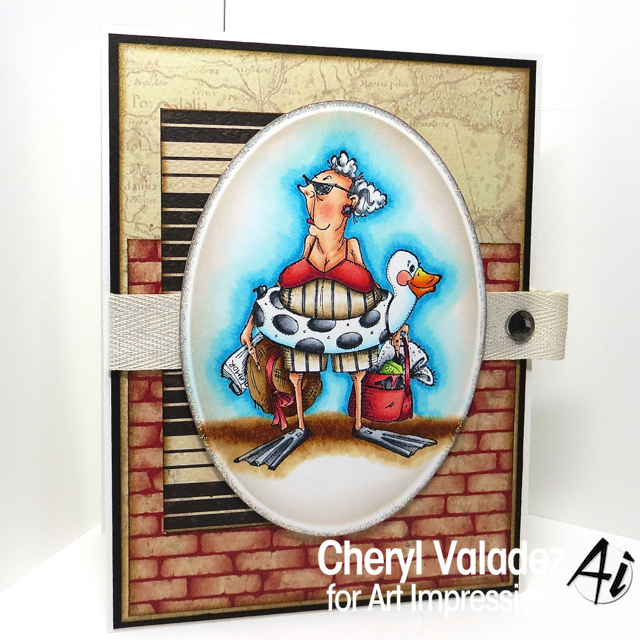 Cheryl another fabulous card! I have never seen this image before and your coloring of it is amazing. Blanche is going on my wish list. This card is soo cool!! Love these colors. Great card! Hilarious! Love the colors, too. LOL, this stamp is hilarious! Fabulous card for a lady with a sense of humour. Thank you for an inspiration!